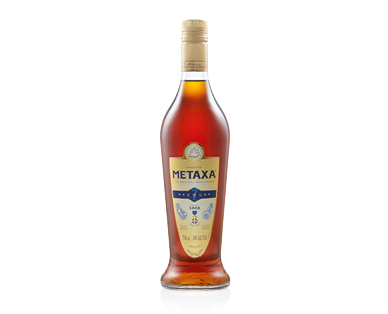 Boasting ‘2000 hours of sunshine’ in every bottle, Metaxa uses specially selected muscat grapes, secret botanicals and rose petals, to produce this classic Greek brandy, aged up to 7 years in oak. Ideal neat, with ice or as a decadent cocktail ingredient. Liquor is available in selected ALDI stores in NSW, VIC, ACT and WA. Due to liquor licensing limitations, liquor is not sold in any QLD or SA ALDI stores. Find your nearest store for ALDI Liquor. * While stocks last - please note stocks are limited and will vary between stores. Despite our careful planning, we apologise if selected items may sell out on the first day due to unexpected high demand. In the event of unexpected high demand, ALDI Stores reserves the right to limit purchases to reasonable quantities. Prices are correct at time of uploading and are subject to change.